Today at the Plant City Seventh-day Adventist Church, David gave all of Himself to Jesus, because Jesus gave all of Himself for David! Yesterday was David’s 12th birthday, and today was his spiritual birthday. David (left, front row) has already been a big part of the Plant City SDA Church family. He is very active in Pathfinders, and always makes things fun for everybody. He is an ambassador for the church, as he is very welcoming and friendly when we are going door to door in the neighborhood or meeting at the church. David also regularly attends our Tuesday night Bible studies. He attended my baptism class a while back where we went over all of the Seventh-day Adventist beliefs in light of the cross. David had been contemplating baptism for some time, and decided to be baptized the day after his 12th birthday. October 20, 2018 was a very special Sabbath at the Tampa First Seventh-day Adventist Church, as Alex gave all of himself in baptism to the one who gave all of Himself for him. Alex requested baptism studies as he wants to make God the foundation of the new home he will beginning soon with his fiancee Isalnde. Alex and I enjoyed studying together at the church every Wednesday, though a couple of times my evenings were so packed with Bible study appointments, that Alex allowed me to eat by meeting me at Panera Bread or Olive Garden for our Bible study. Alex would often read ahead in the studies so he would be prepared with good questions and comments to stimulate our study of God’s Word. Baptism is a commitment to follow in Jesus’ footsteps, and being committed to His Words for the long run. I presented Alex his baptism certificate, which contains the 28 fundamental beliefs of the Seventh-day Adventist Church. Thank you for supporting my ministry so I can keep leading people to Jesus! The sacrifice of Christ as an atonement for sin is the great truth around which all other truths cluster. In order to be rightly understood and appreciated, every truth in the word of God, from Genesis to Revelation, must be studied in the light that streams from the cross of Calvary. I present before you the great, grand monument of mercy and regeneration, salvation and redemption,–the Son of God uplifted on the cross. This is to be the foundation of every discourse given by our ministers. Teaching Plan for this week’s Sabbath School lesson. Goal: Share with your class how the cross makes us all one in Christ. Examine: What are the key words and thoughts in this passage? Discuss: Why is it so important to a parent that their children get along? Why is it so important to Jesus that His disciples love each other? Apply: What did Jesus do to unify His disciples? Hint: Mark 10:42-45 ,John 13:1-17, John 15:13. How can we help answer Jesus’ prayer for unity? Can you share an example of how someone help unify a church or family? Examine: What are the key words and thoughts of this passage? Discuss: Have you ever felt betrayed? How did it feel? Apply: One day I was helping a friend weed her garden before a big party. Being careless I accidentally uprooted a beautiful flower as I was grabbing up all the weeds. How can we apply the same policy Jesus had towards Lucifer and Judas towards those we feel are our enemies? Why did Jesus allow Lucifer in heaven and Judas in his group of disciples? Why does Jesus allow people to betray us today? Apply: What example in Mark 9:38-41 did Jesus give us, that we can apply towards our relationship towards independent ministries and other denominations? Examine: What are the key words of this passage? Discuss: How does the cross unify us? How do the commandments unify us? 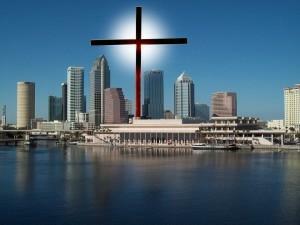 Can we have unity with just the cross? Can we have unity with just the commandments? Apply: How can we live in God and live our lives the way Jesus did? Reflection: How does the sacrifice of Jesus on the cross help you understand this week’s lesson and apply it to your daily life? Do we Have to Agree on Everything to Have Unity? The Seventh-day Adventist Bible Commentary supports the NLT by saying the meaning of this text is, “How can two walk together unless they have a common purpose?” 1 You don’t have to agree upon every little thing in order to go in the same direction. I have traveled with friends who, when we stop to eat choose a different restaurant than I want. I go to one, while they go to the one next-door. We eat, get back in the car and continue our journey in the same direction. In Wesley’s time, as in all ages of the church’s history, men of different gifts performed their appointed work. They did not harmonize upon every point of doctrine, but all were moved by the Spirit of God, and united in the absorbing aim to win souls to Christ.–Ellen White, Great Controversy, page 258. We talk about how we need to study the Bible with an open mind. Well, I believe we need to study The Great Controversy with an open mind as well. Many staunch Adventists talk like the book is all about proving which day is the real Sabbath. Of course that becomes clear in the book, but one major theme I see in The Great Controversy is that we should all worship according to our own convictions and none should force others to believe just like them or just like us. I have talked with several Adventists in the past, who would dispute this passage, because they strongly believe that if you are led by the Holy Spirit you will think exactly like they do. They are mystified by the idea in this passage that two people can be led by the same Holy Spirit without totally agreeing on every point of doctrine. Yet I believe inspiration is telling us that people can be led by the Holy Spirit without being carbon copies of us! Here is another passage from Great Controversy, which I believe contains a very strong warning to Seventh-day Adventists. I have encountered Seventh-day Adventists who were just as papal as the papacy. When we try to dictate what others believe or exactly how they worship, are we not imitating the papacy? Again, a major theme I find in the Great Controversy is that everyone should worship according to their conscience, and that includes people who don’t agree with us. Tolerance for different opinions is not just something Ellen White preached. She also practiced tolerance in her own home. Now butter may not be a big deal in the grand scheme of things, but what I truly appreciate in this passage is how Ellen White recognizes that people who do not see things her way are still her “conscientious brethren.” She does not question the hearts of people who disagree with her. This is in contrast to a discussion I once had with a brother who told me I would see things his way, “once I get closer to Jesus.” Ellen White recognized you can be close to Jesus without thinking exactly like her! Amos 3:3 says we should all be heading the same direction, but that does not mean we have to agree on every little thing. We don’t have to start a new church or denomination every time we have a difference of opinion. I once worked in an area that had one main church. It seemed perfectly balanced to me. A leader in the church had some evangelistic meetings which spawned a new church plant. The church plant was more liberal than the main church, so all the liberal members of the main church joined the new church plant. This left only conservative members in the main church. Suddenly in my opinion, the church plant became too liberal and the main church became too conservative. I thought it was much better when the liberals and conservatives went to the same church, because together they kept the church balanced. Now neither church seemed balanced, as far as I could see. When we surround ourselves only with people who think exactly like us, our thinking becomes skewed! Of course there needs to be a balance between tolerance for other opinions and letting every wind of doctrine freely blow through the church. How tolerant should we be of other people’s opinions in the church? What example did Jesus give us for tolerance within the church? How do we decide which doctrines are worth splitting the church over, and which ones we should just show tolerance? The other night I tried a new restaurant, and the food was horrible! It actually made me sick. So I got a to-go box and took it home so I could chew on it for several days and share it with my friends. Sound crazy? Of course it is. Thankfully my story never actually happened. I just wanted to illustrate how foolish it is for us to keep dwelling (chewing) on negative experiences and sharing them with our friends. Sometimes we feel we have been offended and we share the painful experience over and over with out friends. Sometimes we want them to validate our negative feelings. However whenever our friends justify our hurts and feelings of being offended, they are encouraging us to walk in the flesh instead of the Spirit. Sometimes we share the bitter experience to turn our friends against the person who hurt us. This is when we start tinkering with Cannibalism. When the serpent tempted Eve, he started off with a very subtle slander. Notice he forms the insinuation as a question. Not accusatory. Maybe even “sincerely” seeking for clarification, but the idea is now thrown out there that God is restrictive and holding good things back from us. 2 Corinthians 2:11 says we are not ignorant of Satan’s devices, and of course we are not. We even use his devices! Gossipers and slanderers in the church will often start off very subtly, hoping to gain an ear. Once they have that ear, they turn from subtle hints to outright slander just like the serpent did with Eve. Now the serpent has called God a liar! He started off subtly to gain an audience. Now that he has captured his audience, he has moved into outright slander! There are predators who groom entire congregations by sweet-talking them and buttering them up, even lending a helping hand whenever needed. Then they will subtly point out that they are helping the congregation more than anyone else. After their sweet talk and “good deeds” they insinuate that they deserve your loyalty more than the pastor, since after all, they have helped you more than the pastor, haven’t they? Then they begin to slander the pastor and usurp his influence. And you owe them your loyalty, because, after all, they have helped you so much with all their “kindness” and “encouraging” words. Absalom, in 2 Samuel 15:2-6, is an excellent example of grooming people, pretending to have their interest at heart, when in reality just wanting to promote self. Jesus has a cure for slandering, gossiping and backbiting. It is the exact opposite of those things. 2 Corinthians 2:11 tells us we are aware of Satan’s devices. This means we are not supposed to use them ourselves in the church! Subtle and outright slander, lying and cursing are all Satanic tactics and should not be practiced by Christians. As Seventh-day Adventists preparing for translation, let’s remember the seal of God is not just about the Sabbath. 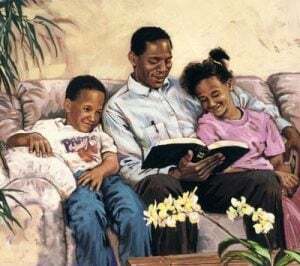 There will be many in heaven who kept Sunday and many who kept Saturday, but there won’t be anybody in heaven who made a practice of slandering. I personally fear more people will be excluded from the 144,000 over gossip and slander issues than Sabbath issues. John says the 144,00 have no guile in their mouths. (Revelation 14:5 KJV) Google “guile meaning” and you will find, “cunning,” “craft,” etc. basically all the things that make up gossip and cannibalism.